HTC brings you joyful experience in playing games with its latest launch of HTC VIVE. The company already has a huge advantage over other companies making VR headsets in its partnership with Valve. Give your eyes the feast of stunning graphics make it feel so real with HTC Vive headset. It has two wireless controllers feature 24 sensors for seamless movement, meaning you can do more in VR than ever before. Time to take gaming to all new level with HTC Vive headset. Enjoy 360˚ motion tracking with Vive, as its innovation technology let headset and controllers track their exact location in space. Play around with super cool virtual reality games and chat with other HTC aficionados. The headset is tethered to a gaming computer with many data cables, but it’s believed that the final version will cut down this to a single HDMI cable. This does raise the question of whether you’ll be able to add USB peripherals to the consumer unit, though. There’s also a 3.5 mm jack on the side of the headset so you can add your own headphones. 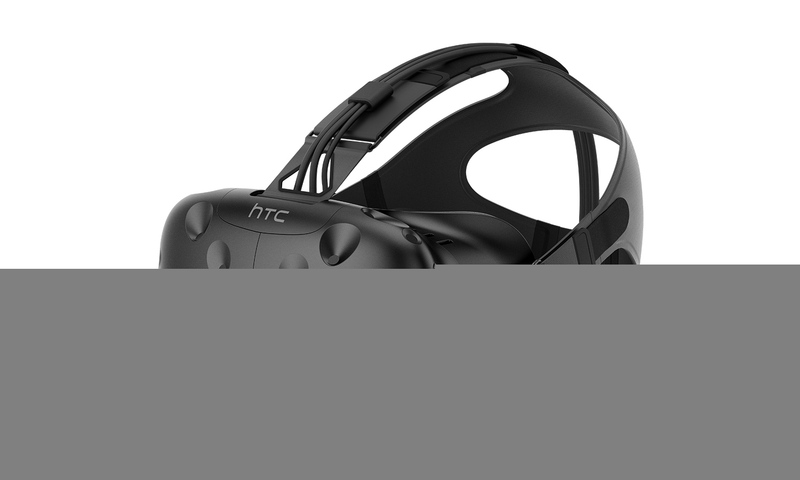 HTC already has a huge advantage over other companies making VR headsets in its partnership with Valve. Vive has been recognized with more than 65 awards and wide critical acclaim since its unveiling in 2015. Crafted from the ground up for room scale VR and true to life interactions, Vive delivers on the promise of VR with game changing technology and best in class. You will get driven away by the HTC Vive gaming experience. Three-part multi-cable (HDMI, USB, and power) with junction box for PC connection.